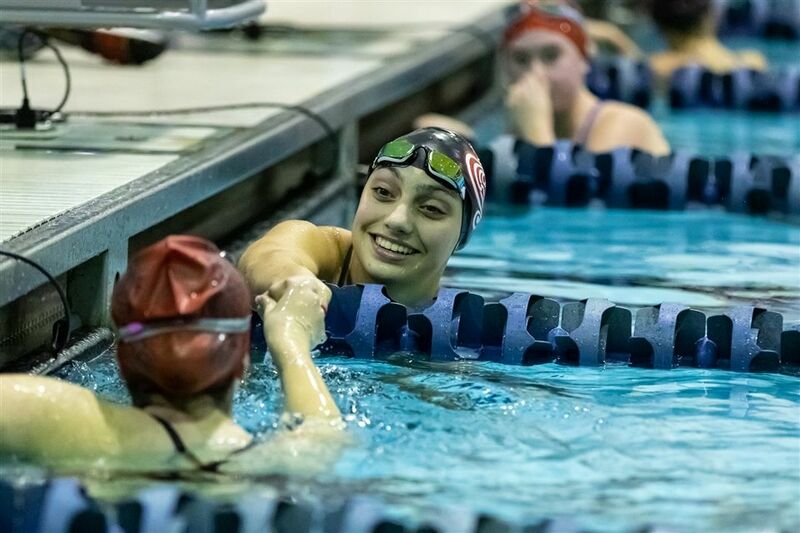 A talented swimmer with her best ahead of her, Allie Wildstein ‘22 is the Wyvern of the Week. While just a freshman, Wildstein is already in her fourth year swimming at KO including two seasons as a member of the varsity team. Wildstein won both the 500 and 200 IM at Kingswood Oxford’s meet against Canterbury and earned a best time at the Wilbraham meet in the 500, winning the event with a time of 5:50.66. A swimmer for the past eight years, Wildstein swims for a club team as well and just likes to compete, regardless of the event. “I do often swim the 500 free and 100 back. My favorite event is the 500 free and it doesn't really matter to me what events I swim,” Wildstein said. Wildstein has enjoyed the season so far and feels the team is trending upward since it was able to add a few more swimmers this season. As the championship portion of the schedule approaches, Wildstein just wants to go low and support her team. “For me personally, I would like to go under 5:45 for my 500 and for the team just to keep supporting each other and having fun,” she said.